All dance is about the body, how it looks, how it moves, how it connects with others on stage. But for Sonia Destri Lie, artistic director of Companhia Urbana de Dança, a company of eight men and one woman from the favelas of Rio de Janeiro, her dancers’ bodies are also a source of the stories the company tells in its work. 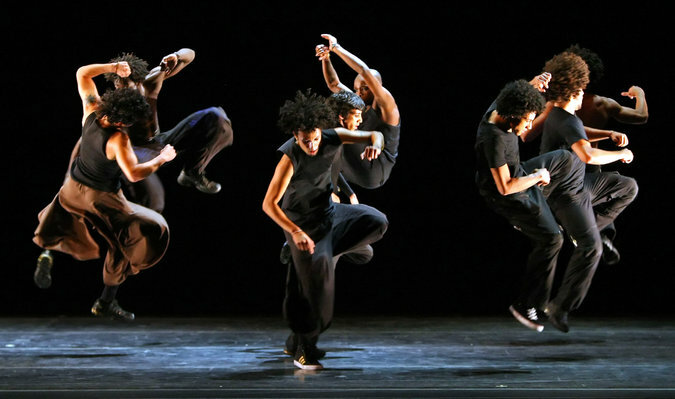 Destri founded Companhia Urbana nine years ago, to bring the three roots of Brazilian culture – indigenous, European and African – together in contemporary dance. She had no preconceptions about the kind of dancers she would recruit. “When they came to the company, they had very little formal dance experience. What was important for me was whether or not they had a body that was ready to dance,” she says. Destri started as a dancer herself. She trained with Pina Bausch, Alwin Nikolais and Twyla Tharp and, in the 1990s, returned to teach contemporary and Brazilian jazz dance at the Tanztheater in Wuppertal. During this time she developed an interest in the dance emerging around hip hop, not only in Europe but also, she discovered on her return to Rio de Janeiro, in the favelas of her home town.